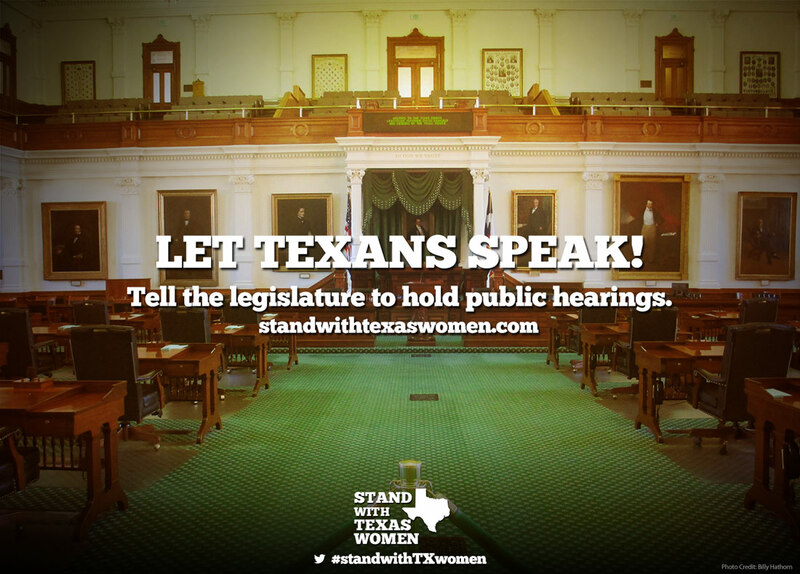 TAKE ACTION - Sign the petition demanding public hearings across Texas on women's reproductive rights. Last night, over 1,000 people who signed up to testify on House Bill 2 were not allowed to speak. Texas House State Affairs Chairman Byron Cook created an arbitrary midnight deadline for folks to speak, and refused to schedule additional hearings or spread out the testimony over several days despite historic levels of engagement from people on this issue. Given the statewide interest and the new special session, the members of the Senate Democratic Caucus and I ask that you consider holding committee hearings outside of Austin to discuss pending legislation. I believe Texans would welcome the opportunity to meet with legislators and testify in field hearings about women's health. You can read Senator Watson's full letter below. Be sure to sign the petition demanding statewide hearings for women's reproductive rights.